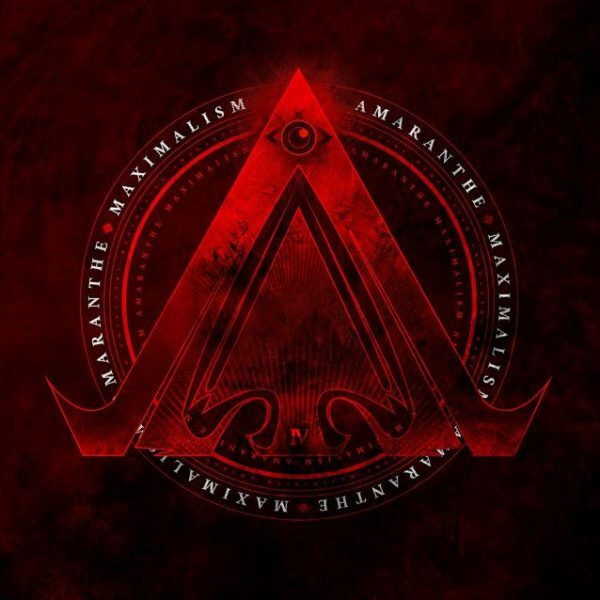 Guitarist Olof Morck describes Maximalism as ‘our manifesto to the world’ and the band’s fourth album undoubtedly pushes the dual aspects of Amaranthe to the extreme. Metal purists will be horrified by ‘Boomerang’, pop aficionados will run screaming from ‘Fury’ but Amaranthe fans will be delighted by another bold, exciting album by the genre mashing Swedish/Danish sextet. The pounding, ambient, electronic dance beat of opening track ‘Maximize’ immediately hints at a different approach before exploding into a satisfying full-on Amaranthe anthem. ‘Boomerang’ takes this wide-angle vision and pushes it even further. The first verse begins strongly reminiscent of The Saturdays – I kid you not – before harsh vocalist Henrik Englund Wilhemsson sends the song spinning in an utterly different direction and hurtling towards a huge chorus with a killer hook line. Such wildly disparate styles of music really shouldn’t work together but ‘Boomerang’ does. Spectacularly. ‘That Song’ is a change of pace for Amaranthe: a mid tempo stadium pop/rock number with a nod to Queen’s ‘We Will Rock You’ in the chorus and featuring an uncharacteristic Rihanna-esque drawl from Eiize on the opening verse. The band then put their foot to the floor with ‘21’ and ‘On The Rocks’ , both of which are a thrilling fusion of modern metal and infectious melodies. If Maximalism accentuates the modern pop aspects of Amaranthe then it also ramps up the heavier elements of the band’s sound. ‘Fury’ is fast, fierce and frenetic with Henrik venomously spitting out the verses over Morten Sorensen’s furious drums. ‘Fireball’ is more measured and is one of the gems of the album with its soaring melodic chorus and an all too brief but gloriously heavy breakdown featuring Olof and Henrik. There are two ballads on the album and again these are a departure for Amaranthe. ‘Endlessly’ is a big, sweeping romantic power ballad; a solo tour de force from Elize that would not sound out of place on a West End stage while ‘Limitless’ is an intriguing one featuring only Jake E and Elize Ryd on vocals. It cleverly builds from keyboards and electronic modern R&B rhythms before bringing in drums, bass and guitars on the second chorus. It’s a strong track and it’s one that is likely to have appeal beyond the band’s current fan base. Maximalism is a dynamic and diverse album that pushes Amaranthe’s hybrid sound in new directions and that won’t be to everyone’s liking. For me its eclecticism makes it a less cohesive collection than Massive Addictive or The Nexus but it is still an assured, energetic, confident and hugely enjoyable work. I’ve always loved Amaranthe’s genre defying approach and although Maximalism sometimes surprises, it doesn’t disappoint.